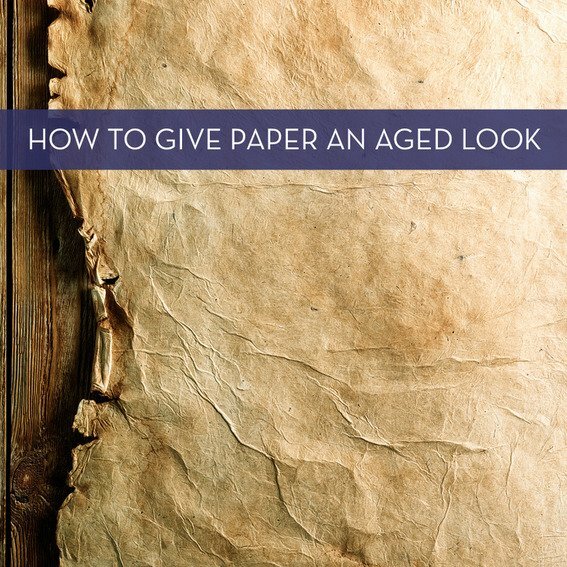 I saw Martha "antique" paper a few years ago, and although I don’t remember her technique, I do remember that it was complicated. I played around with the general idea, though, and came up with an easy way to get the same aged look. A baking sheet larger than the piece of paper you want to antique. Sponge brush, or soft bristle brush. Pre-heat oven to lowest setting. For me it was 200 degrees. Crumple up your piece of paper into a ball, then smooth it out and place in your baking sheet. Sprinkle instant coffee over your paper. Let stand for a few minutes, letting the coffee crystals "blossom." Using a couple of paper towels, dab the coffee up so none is pooled on the baking sheet or paper. Slide sheet into oven. Keep a watch on your project just in case of flame ups. "Bake" sheet for about five minutes or until paper is dry. You can tell it’s drying when the edges of the paper start to curl up. 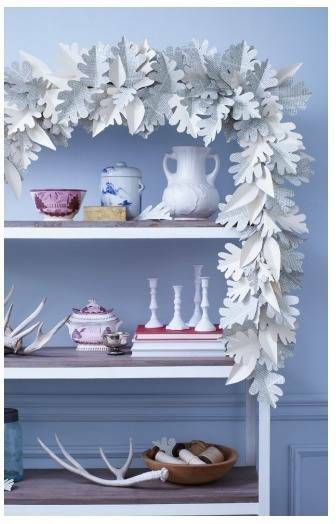 Speaking of paper... have you seen this fun oak leaf garland tutorial? I am thinking of using this as a piece in a multi-media work I am doing. I wonder how it would hold up to varnishing? Anybody have any ideas? I just tried this and it works really great!! Other websites recommend buying parchment paper, but this really looks way more authentic. I baked on 175 degrees celsius. Don't walk away because it bakes really fast. can you blow dry the paper instead of put it in the oven? I love the look, but need it to laminated. Would that work at all? or would the laminating ruin the effect you have with the crinkles?? So easy! And it totally worked. Thanks! @Amanda: Keeping ink from bleeding. I think the ink is printed onto the paper once it's dried. How did you keep the ink from bleeding when you wet the paper? wow that is very neat and give it an awesome look. an easy way to do this is to dip paper in coffee or coke and let it darken until you have the appropriate. Then layer the paper with paper towels inbetween and place a book on top. This allows you to write on it later(i use this method since I use it for calligraphy projects). Then after you write on it, add water to dampen the paper, crumble it, uncrumble it and allow it to dry. Then you can burn the edges(optional). will it work for like projectes of u need to write on it later? I like to do this sometimes when camping! Stick the edges of paper near coals for about 3-5 sec. And then turn around and around until you get the around edges crispy brown. Looks really cool! I did it a little different. I crumpled the paper. Then I took a tea bag and made it wet. I rubbed the paper with it and let it dry. I printed my text and tore the edges. Then I repeated the process with the tea bag only on the edges and when it dried, they were a little darker than the middle, which gave a nice finish. I let it air dry. What degree should you set the oven?